Preheat your George Foreman grill. While the grill heats, prepare Thai Sauce by combining all ingredients in a small bowl. Grill chicken for 3 to 5 minutes. 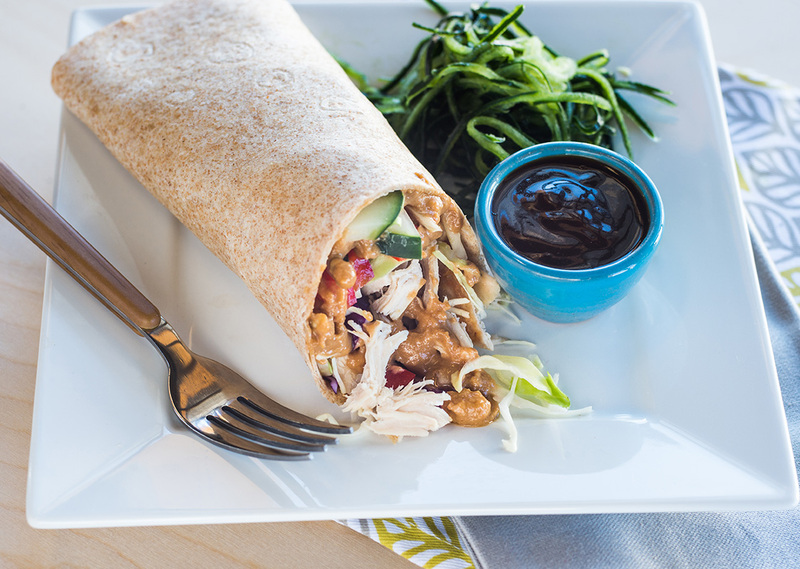 Prepare wrap by spreading Thai Sauce down the center of the tortilla. Top with cabbage, red pepper, chicken and cilantro. Roll up wrap and enjoy! For the Evolve grill preheat to 375° and grill chicken for 5 minutes. For the Indoor|Outdoor Grill preheat to Setting 4 and cook chicken for 3-5 minutes.